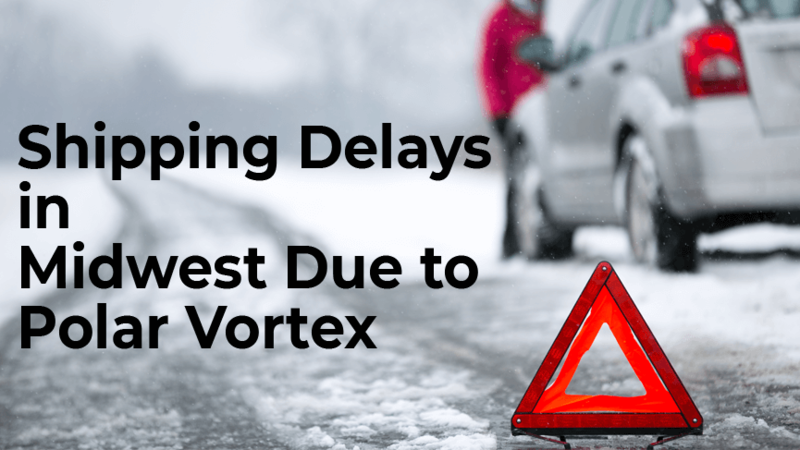 2019 Polar Vortex - How Can It Affect Your Amazon FBA Business? The 2019 polar vortex is here, and if you live in the northern midwest, I don’t need to tell you about its severity. For those of you who haven’t heard, in some parts of the United States, temperatures have dropped to as low as 75 degrees below zero. For comparison, that’s colder than Antarctica. That’s almost as cold as Mars! The 2019 polar vortex is shaking things up all over the country. But could this extreme deep-freeze really have an effect on your Amazon FBA business? It turns out the answer to that question is a resounding yes. Amazon Fulfillment centers are closing. As you probably know, there are dozens of Amazon Fulfillment Centers (AFC) located in areas currently at the mercy of the 2019 Polar Vortex. Already, Amazon has announced that deliveries emerging from those zones will be delayed. In a recent statement, they said that while they are working hard to keep their promise of fast, free delivery, the Polar Vortex is making it difficult. But Amazon also said customers can call their support team anytime, if they are having problems. That’s not the only negative effect of this dangerous cold-snap though. Carriers are staying off the roads. First, carriers can’t deliver on Amazon’s Prime shipping estimates of two to three days. Second, inventory being sent to those AFCs is likely to get hung up. That could affect a product’s ranking, if stock runs out before the new shipment arrives. Not only that, until it warms up, 1,500+ planes have been grounded. Those planes aren’t only commercial passenger lines either. Cargo planes carrying products to and from Amazon Fulfillment Centers are grounded too. The upside? People are at home shopping. Popular consumer site, Mashable, is already publishing lists of products to purchase to fight the cold. They call it the 2019 Polar Vortex shopping guide. The list includes items like space heaters, portable generators, hand warmers and, of course, cold-weather clothing. Also, according to a study by Tradedoubler, during bad weather, shoppers are more likely to stay indoors and shop. Right this very minute, there are people at home, curled up on their couch with a blanket and a laptop, scrolling through your products on Amazon. So what can you do to take advantage of the 2019 polar vortex? Correctly position your products and target those affected by the cold. In fact, you can use Mashable’s list to look for high-converting keywords using Keyword Scout’s reverse ASIN look-up feature. Run promotions! There’s a common belief that January and February are slow sales months. However, there are lots of people who still want to spend money. These cold months are the perfect opportunity to run new promotions to get in front of those buyers. Jump on the cold-weather bandwagon on social media. Right now, everyone’s talking about the vortex, so join the discussion! Don’t shove your products down peoples’ throats though. Instead, use the right hashtags to expose your products to a new group of consumers. Hopefully this nasty weather will let up soon! But until it does, please stay safe and stay warm. And if you’d like to learn more about how you can perform reverse ASIN look-ups, check out Keyword Scout. It’s part of the Jungle Scout suite of Amazon seller apps.